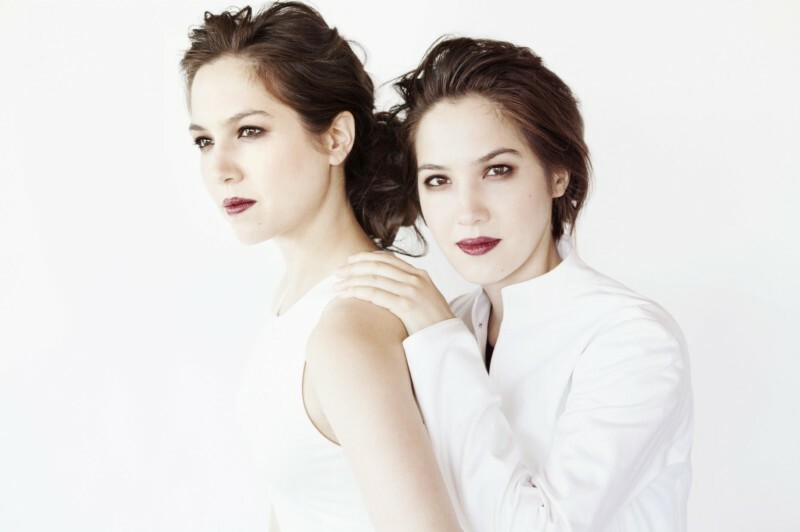 Hailed by the San Francisco Examiner for their “stellar musicianship, technical mastery, and awe-inspiring artistry”, twin sisters Christina and Michelle Naughton have been dazzling audiences throughout the world with their performances of works for duo piano and piano four-hands. They come to The Greene Space for a special evening featuring repertoire from their newly released recording on Warner Classics, Visions, as well as a world premiere of a new work by John Adams. WQXR’s Annie Bergen hosts. Other highlights from the Naughtons’ 2015-2016 season include performances presented by the New World Symphony, Los Angeles Philharmonic at Walt Disney Hall, at the Concertgebouw in Amsterdam, and at the Grand Teton Music Festival, as well as appearances with the St. Petersburg Philharmonic, Orquesta Sinfonica do Estado Sao Paulo, the Netherlands Philharmonic, l’Orchestre Philharmonique de Strasbourg, the Frankfurter Opern– and Museumsorchester and the Atlanta Symphony. Born in Princeton, New Jersey to parents of European and Chinese descent; Christina and Michelle are graduates of The Juilliard School and the Curtis Institute of Music, where they were each awarded the Festorazzi Prize. Pianos provided courtesy of Steinway & Sons.